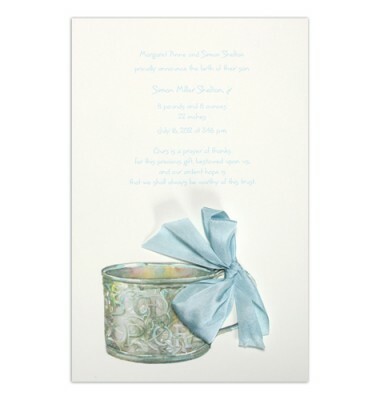 This card features a baby's cup embellished with a silk ribbon. 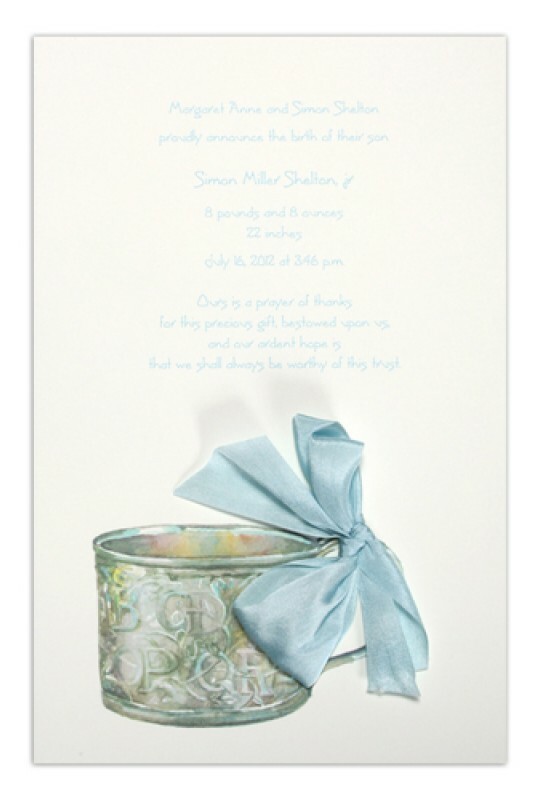 Perfect for use as an invitation or birth announcement. White envelopes included.